The next wave in autonomous vehicles is arriving at the municipal and county level: self-driving shuttles. For Columbus, Ohio, that technology has already arrived. 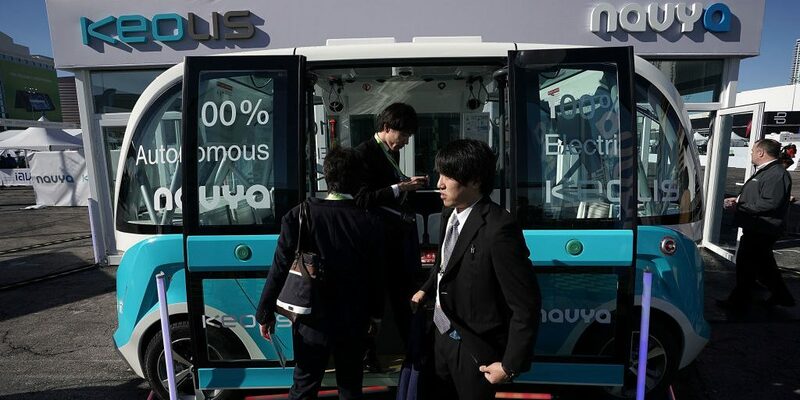 Michigan-based startup May Mobility debuted autonomous shuttles in the city this week, according to the Washington Post. The shuttles seat riders in a “campfire configuration” and have six seats. A backup operator will remain in the vehicle at all times, the Post reports. For the first year, the shuttles will be free for the public and will operate seven days per week. They will eventually loop people around an area of parkland within the city’s downtown district. The Rhode Island Department of Transportation awarded a contract to the same company to launch a self-driving shuttle in Providence this spring, the Associated Press reports. The contract pays the company $800,000 to operate the shuttles in the city for free, and it contains the option to extend for two years longer. The shuttle is set to operate between downtown Providence and Olneyville, and the company will test the shuttles in the Quonset Business Park during the winter. A three-way partnership between transit provider JAUNT, Perrone Robotics and Albemarle County, Va., will result in the county receiving autonomous shuttle service beginning in March, according to Charlottesville, Va.’s TV station NBC 29. The service was announced amid a technology demonstration from the three entities along with the University of Virginia. The service will begin in Crozet, Va., and is hoped to expand to Charlottesville, NBC 29 reports. “Albemarle County has long supported vibrant communities and an autonomous, zero-emission transit service brings the promise of reduced parking needs and greater use of green technologies in our urban centers – allowing our community to continue to flourish into the future,” Albemarle County Board of Supervisors Chair Ann Mallek said in a news release. What is the “campfire configuration”? If it is what I think of as sitting around a campfire, what does this mean for safety in the event of a collision?